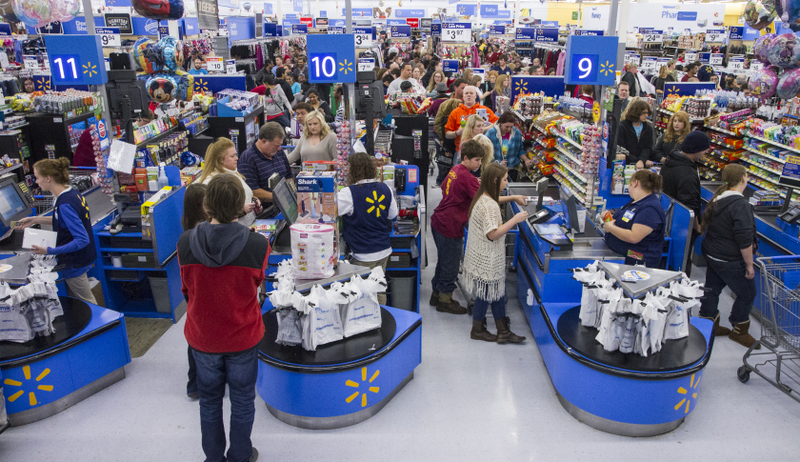 Retailers are gearing up for the annual mass hysteria that is Black Friday. Amazon kicked things off just one day removed from Halloween and now, major retailers including Best Buy, Target and Walmart are following suit. Best Buy is planning to open doors on Thanksgiving Day at 5 p.m. and remain open until 1 a.m. Friday before reopening again at 8 a.m. Shoppers won’t have to wait that long as more than a dozen deals from Best Buy’s Black Friday ad are already available now. Deals available as of writing include a Surface Pro 4 for $599.99 (down from $999.99), Bose SoundSport In-Ear Headphones priced at $39.99 (regularly $99.99) and a 70-inch Vizio 4K TV that can be yours for $999.99 (a savings of $300). Target, meanwhile, will be opening at 6 p.m. on Thanksgiving Day for the third year in a row. Early Access deals, which run through today only online and in stores, include a Jetson V6 Hoverboard with Bluetooth for $284.99 (regularly $399.99), various PlayStation 4, Wii U and Xbox One games for $35 each and 25 percent off all Apple TV models. Walmart's Black Friday in-store deals begin at 6 p.m. (stores will remain open all day on the holiday) with online deals going live that morning at 12:01 a.m. Eastern. There are plenty of deals available online as of writing although irritatingly enough, you can only view them through Walmart’s mobile app. If you’re willing to grab the app, you can snag deals like a 65-inch Hitachi 4K TV for $599 (a $400 savings), $150 off an Acer 15.6-inch laptop with Core i5 processor and an Xbox One S 500GB Minecraft bundle with bonus controller for $279. As always, the retailers are holding back their best Doorbuster deals until closer to Black Friday.